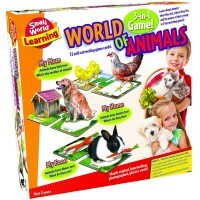 Put together the animal kingdom with Animals of the World 48 pc Lift & Discover Puzzle! 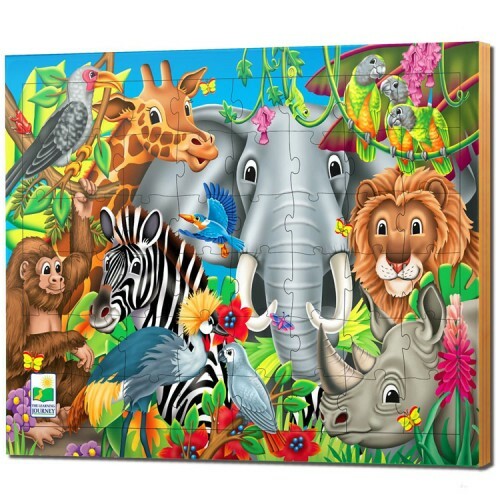 Put together the animal kingdom with the bestselling Learning Journey's Animals of the World 48 pc Lift & Discover Puzzle! The this jungle animals jigsaw puzzle for beginners is a vivid puzzle with all your kids favorite wild animals! 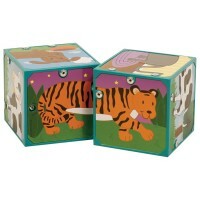 The animal puzzle comes with a full picture underneath the pieces to help youngsters put together the final product. 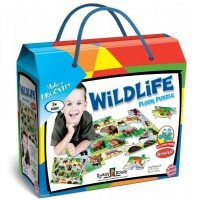 This animal wooden jigsaw comes with 48 puzzle pieces to result in a colorful wildlife scene. 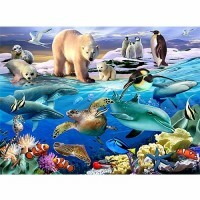 Educational Toys Planet presents this glossy jigsaw puzzle for your home or classroom children puzzle collection. 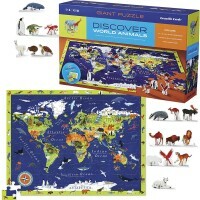 Dimensions of package 13" x 17" x 2"
Write your own review of Animals of the World 48 pc Lift & Discover Puzzle. 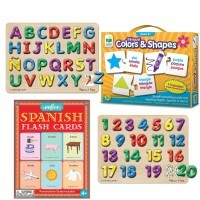 Rating: 3 by Lisa, VA Love the brilliant colors of the puzzle. 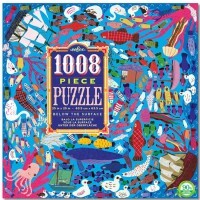 I would rather it not have the same picture underneath the pieces. It should be a uniform color underneath. 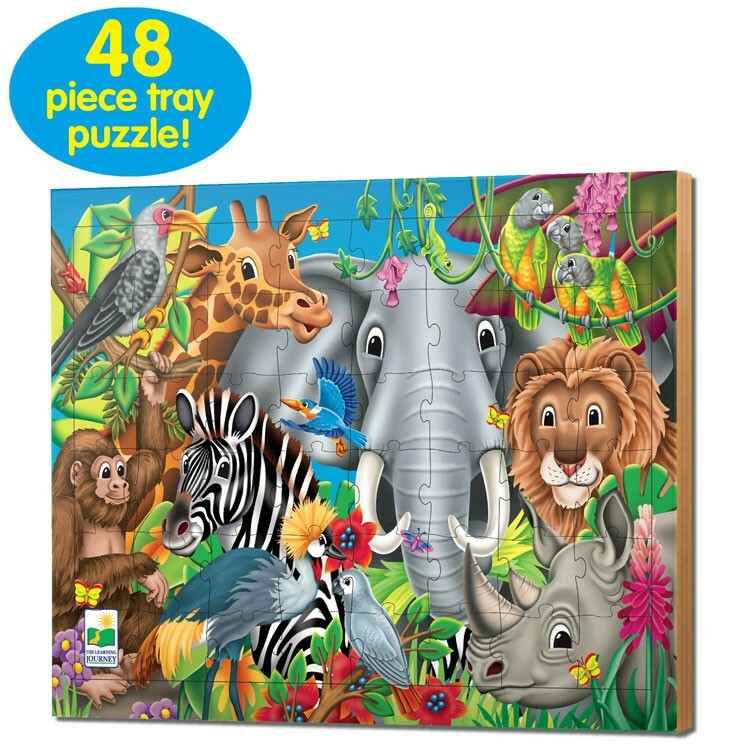 Rating: 5 by Paula, VA my granddaughter LOVES this puzzle. 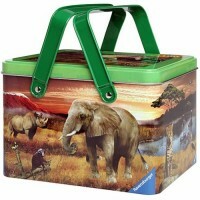 the size is perfect for her, the well constructed pieces will last a long time! 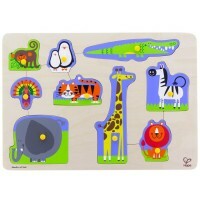 Rating: 5 by MaryKatherine, OH Twin two year old grandsons love this. It is beyond their age, but I like to challenge them. 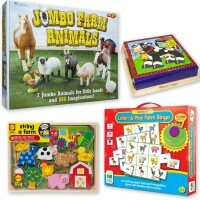 They bring it to me so we can all play and grammie can find the right piece and they pat it in place.